You’ve probably heard the saying, “It’s not what you know, but who you know.” While I don’t advocate using personal relationships as leverage to get ahead in your career, especially over actually having the talent necessary to succeed. There’s nothing wrong with creating a network of qualified individuals to help you get where you want to be. But it’s not always easy to create these networks. You have to step out of your comfort zone and put yourself “out there” for the world to see. You could have all the talent in the world, but if you fail to get yourself noticed, it could end up going completely to waste. When I started writing for Lifehack, I was pretty excited when one of my first articles got shared over 1,000 times in one week. After about six months of creating content for Lifehack, I have had almost 200 articles published, and have over 130,000 shares under my belt. My articles have been reprinted by blogs ranging in focus from parenting and education to relationship and career advice. What started as a way for me to earn a few extra bucks here and there has turned into a full-time passion. I’ve reached more people than I ever thought possible, all because I’ve been able to write for many different purposes. I’ve not only made connections for myself, but I’ve also helped connect others to each other as well. Knowing a guy who knows a guy can be an important asset for your career. It shows that you’re not just looking out for yourself; you want things to get done. It might be as simple as putting a friend with a specific talent in touch with a company who has placed an ad that you yourself aren’t qualified to answer. Doing so will also put you on the receiving company’s radar in case an opening pops up that you are qualified for. Like I said in the intro, it never hurts to have an “in.” But don’t just assume that you’re a shoe-in for a job just because you know someone that can put in a good word for you. By all means, use your connections to get your foot in the door, but once you get there, let your talents speak for themselves. If you think you can simply walk into a gig because your uncle works for the company, you’re not only going to look bad yourself, but you’re going to make your uncle look terrible, as well. When you meet someone new who piques your interest or is in a position to help you further your career, it’s incredibly important to remember them on a personal level. Take note of everything they mention upon your first meeting, such as their interests or hobbies. These little tidbits might seem inconsequential, but if you bring them up during subsequent meetings it will show that you truly pay attention to people when they speak. It will also validate you in the eyes of the person you’re trying (ever so subtly) to impress. You know Facebook isn’t just to post pictures of your cat, and Instagram isn’t just to show off your home-cooked meals, right? 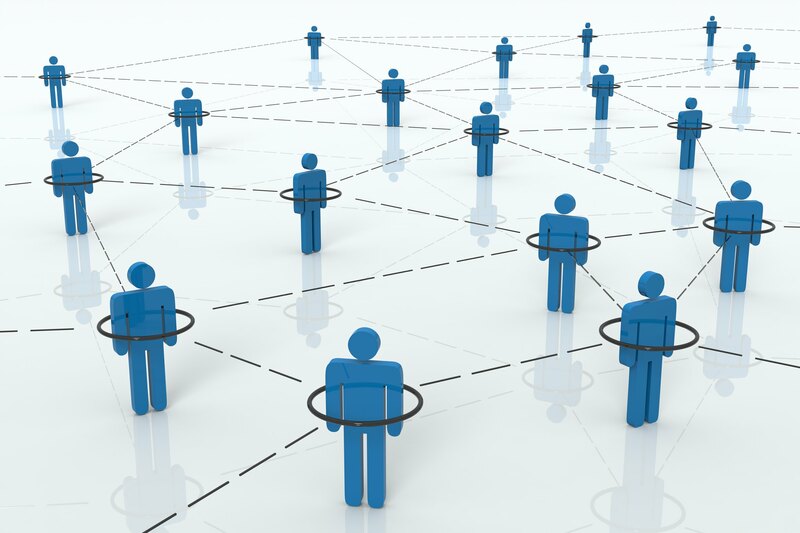 Social networks are a vital tool if you want to find new opportunities to advance your career. One article or post has the potential to go viral, increasing your chances of being noticed by someone who can help you skyrocket to success. The next time you’re scrolling through your Twitter feed, think about how you could produce something on the feed that could benefit others; it will end up benefiting you in the long run.